Immediate and far-reaching changes in current animal agriculture practices and consumption patterns are both critical and timely if GHGs from the farm animal sector are to be mitigated. As the numbers of farm animals reared for meat, egg, and dairy production increase, so do emissions from their production. By 2050, global farm animal production is expected to double from present levels. The environmental impacts of animal agriculture require that governments, international organizations, producers, and consumers focus more attention on the role played by meat, egg, and dairy production. Mitigating and preventing the environmental harms caused by this sector require immediate and substantial changes in regulation, production practices, and consumption patterns. Υπερθέρμανση και ζωική παραγωγή. F.A.O. 29 November 2006, Rome - Which causes more greenhouse gas emissions, rearing cattle or driving cars? But such rapid growth exacts a steep environmental price, according to the FAO report, Livestock’s Long Shadow –Environmental Issues and Options. “The environmental costs per unit of livestock production must be cut by one half, just to avoid the level of damage worsening beyond its present level,” it warns. The livestock business is among the most damaging sectors to the earth’s increasingly scarce water resources, contributing among other things to water pollution, euthropication and the degeneration of coral reefs. The major polluting agents are animal wastes, antibiotics and hormones, chemicals from tanneries, fertilizers and the pesticides used to spray feed crops. Widespread overgrazing disturbs water cycles, reducing replenishment of above and below ground water resources. Significant amounts of water are withdrawn for the production of feed. Livestock are estimated to be the main inland source of phosphorous and nitrogen contamination of the South China Sea, contributing to biodiversity loss in marine ecosystems. Πολλοί δυσκολεύονται να καταλάβουν ότι η ζωική παραγωγή απαιτεί αυξημένη θανάτωση έμβιων οργανισμών. Αν και είναι αυτονόητη μια και η μετατροπή συνεπάγεται λογικά απώλειες, μια προσέγγιση που ίσως ξεκαθαρίζει καλύτερα το θέμα είναι η σύγκριση κόστους παραγωγής. Αν σκεφθούμε πως η πρόσοδος παραγωγού πατάτας δύσκολα φτάνει πάνω από 0,30, σήμερα ενώ το κόστος παραγωγής πάει κάπου στα 0,10 με 0,15€ (συχνά εκεί καταλήγει και η προσοδος του παραγωγού....) καταλαβαίνουμε ότι η διαφορά σε πόρους ανάμεσα στις δύο παραγωγές είναι τεράστια. Η σόγια έχει μάλλον καλύτερη τιμή αλλά και πάλι υπολείπεται κατά πάρα πολύ του κόστους παραγωγής χοιρινού. Από ότι φαίνεται οι έρευνες πλέον δείχνουν πως η vegan διατροφή είναι εκτός από κατάλληλη και μάλλον ευεργετική για τον άνθρωπο. Abstract: This review examines whether there is evidence that a strict vegan diet confers health advantages beyond that of a vegetarian diet or overall healthy eating. Few studies include vegan subjects as a distinct experimental group, yet when vegan diets are directly compared to vegetarian and omnivorous diets, a pattern of protective health benefits emerges. The relatively recent inclusion of vegan diets in studies of gut microbiota and health allows us the opportunity to assess whether the vegan gut microbiota is distinct, and whether the health advantages characteristic of a vegan diet may be partially explained by the associated microbiota profile. The relationship between diet and the intestinal microbial profile appears to follow a continuum, with vegans displaying a gut microbiota most distinct from that of omnivores, but not always significantly different from that of vegetarians. The vegan gut profile appears to be unique in several characteristics, including a reduced abundance of pathobionts and a greater abundance of protective species. Reduced levels of inflammation may be the key feature linking the vegan gut microbiota with protective health effects. However, it is still unclear whether a therapeutic vegan diet can be prescribed to alter the gut microflora for long-term health benefits. Όλοι είναι πληρωμένοι από πατατοπαραγωγούς. The energy consumption of animal- and plant-based diets and, more broadly, the range of energetic planetary footprints spanned by reasonable dietary choices are compared. It is demonstrated that the greenhouse gas emissions of various diets vary by as much as the difference between owning an average sedan versus a sport-utility vehicle under typical driving conditions. The authors conclude with a brief review of the safety of plant-based diets, and find no reasons for concern. Results: There were significant (p < 0.001) decreases in fat (69%), protein (24%), and energy (22%), and a significant increase in carbohydrate (55%) intake. All measures of RA symptomatology decreased significantly (p < 0.05), except for duration of morning stiffness (p > 0.05). Weight also decreased significantly (p < 0.001). At 4 weeks, C-reactive protein decreased 16% (ns, p > 0.05), RA factor decreased 10% (ns, p > 0.05), while erythrocyte sedimentation rate was unchanged (p > 0.05). Conclusion: This study showed that patients with moderate-to-severe RA, who switch to a very low-fat, vegan diet can experience significant reductions in RA symptoms. People become vegetarians for many reasons, including health, religious convictions, concerns about animal welfare or the use of antibiotics and hormones in livestock, or a desire to eat in a way that avoids excessive use of environmental resources. Some people follow a largely vegetarian diet because they can't afford to eat meat. Becoming a vegetarian has become more appealing and accessible, thanks to the year-round availability of fresh produce, more vegetarian dining options, and the growing culinary influence of cultures with largely plant-based diets. Approximately six to eight million adults in the United States eat no meat, fish, or poultry, according to a Harris Interactive poll commissioned by the Vegetarian Resource Group, a nonprofit organization that disseminates information about vegetarianism. Several million more have eliminated red meat but still eat chicken or fish. About two million have become vegans, forgoing not only animal flesh but also animal-based products such as milk, cheese, eggs, and gelatin. Traditionally, research into vegetarianism focused mainly on potential nutritional deficiencies, but in recent years, the pendulum has swung the other way, and studies are confirming the health benefits of meat-free eating. Nowadays, plant-based eating is recognized as not only nutritionally sufficient but also as a way to reduce the risk for many chronic illnesses. According to the American Dietetic Association, "appropriately planned vegetarian diets, including total vegetarian or vegan diets, are healthful, nutritionally adequate, and may provide health benefits in the prevention and treatment of certain diseases." Η καταλληλότητα και τα πλεονεκτήματα της χορτοφαγικής και vegan διατροφής δεν πρέπει να μας καθησυχάζουν και αδιαφορούμε για τις απαιτήσεις της διατροφής αυτού του τύπου. 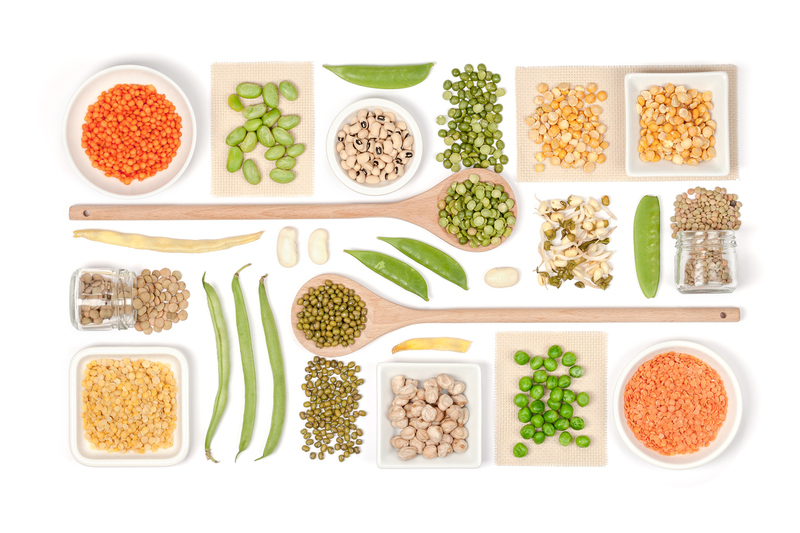 Recently, vegetarian diets have experienced an increase in popularity. A vegetarian diet is associated with many health benefits because of its higher content of fiber, folic acid, vitamins C and E, potassium, magnesium, and many phytochemicals and a fat content that is more unsaturated. Compared with other vegetarian diets, vegan diets tend to contain less saturated fat and cholesterol and more dietary fiber. Vegans tend to be thinner, have lower serum cholesterol, and lower blood pressure, reducing their risk of heart disease. However, eliminating all animal products from the diet increases the risk of certain nutritional deficiencies. Micronutrients of special concern for the vegan include vitamins B-12 and D, calcium, and long-chain n–3 (omega-3) fatty acids. Unless vegans regularly consume foods that are fortified with these nutrients, appropriate supplements should be consumed. In some cases, iron and zinc status of vegans may also be of concern because of the limited bioavailability of these minerals. Αν και δεν είναι αρκετά τεκμηριωμένο, έχουμε αξιόλογες ενδείξεις. Vegetarian diets are associated with lower all-cause mortality and with some reductions in cause-specific mortality. Results appeared to be more robust in males. These favorable associations should be considered carefully by those offering dietary guidance. Vegetarian dietary patterns may contain many of the above-listed foods and nutrients associated with reduced mortality while having reduced intakes of some foods associated with increased mortality. Vegetarian dietary patterns have been associated with reductions in risk for several chronic diseases, such as hypertension,21,22 metabolic syndrome,23 diabetes mellitus,24,25 and ischemic heart disease (IHD),17,26 which might be expected to result in lower mortality. Vegetarian diets represent common, real-world dietary patterns and are thus attractive targets for study. Our objective, in light of the potential benefits of vegetarian diets and the existing uncertainty in the literature, was to evaluate the possible association of vegetarian dietary patterns with reduced mortality in a large American cohort including many vegetarians.